The weather is cooling down, but the action is heating up on the Northern Kentucky high school football gridiron. Week 8 brought some intriguing matchups as teams start to posture themselves for playoff pushes. The Pioneers and Camels combined for 105 points in their 2017 meeting, but defense was the story in this contest. Simon Kenton led 3-0 at the half but the third quarter saw four touchdowns get put on the board, including three by the home team, as the Pioneers put the game away. With the win SK secured their fourth straight district title. The visiting Raiders opened up a 10-0 first quarter lead in our U.S. Marines Battle of the Gridiron Series matchup in Hebron, but the Cougars rallied back. Conner took a 21-17 lead into halftime and outscored their 6A rivals 13-0 after the break to put the game away. The Cougars finished the night with 409 yards of total offense. Quarterback Jared Hicks passed for 236 yards and a two scores and wide receiver Tate Niederman led all receivers with 145 yards and a touchdown on four receptions. The Thoroughbreds won their second straight game after a 1-5 start by knocking off Lloyd on the road in key 2A district matchup. 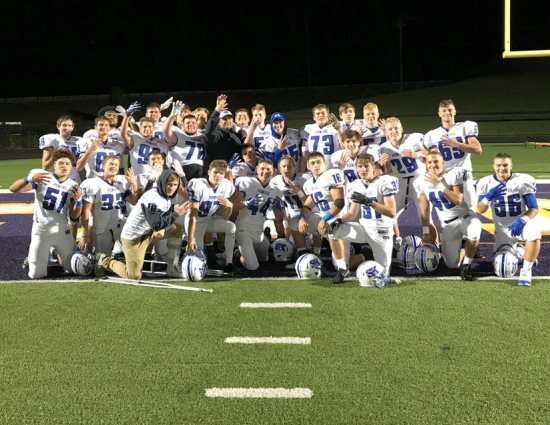 The Juggernauts were only trailing 14-8 at the half, but NewCath scored 12 unanswered second-half points to pull away in the victory. Dan has served as the Publisher of TriStateFootball.com, since he co-founded the website in 2005. You can hear him as the host of High School Football Tonight on Cincinnati's ESPN 1530 Friday's during the season and check him out talking fantasy football or SiriusXM Fantasy Sports Radio.